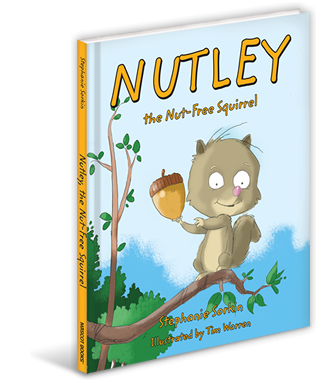 Nutley, the Nut-free Squirrel is a whimsical tale about a squirrel with a food allergy. Nutley’s message of community support and friendship resonates with all students. As the parent of a child with multiple food allergies, I donate 100% of the books proceeds to F.A.R.E, an organization dedicated to food allergy research and education. Nutley is available on Amazon, Barnes & Noble, and Mascot Books and many retailers nationwide. 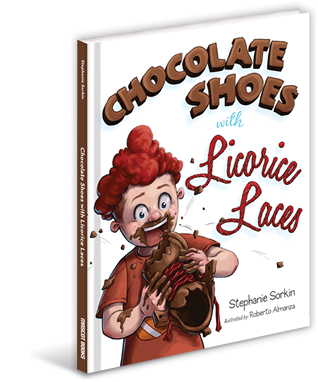 My next book, Chocolate Shoes with Licorice Laces is also quite whimsical! When a young boy finds himself accidentally wearing chocolate shoes, he must find a way to solve this tasty problem. A portion of the proceeds will be donated to Soles4Souls, an organization that supplies new and gently used shoes to those in need both domestically and abroad. Chocolate Shoes has recently won a Mom’s Choice Award. 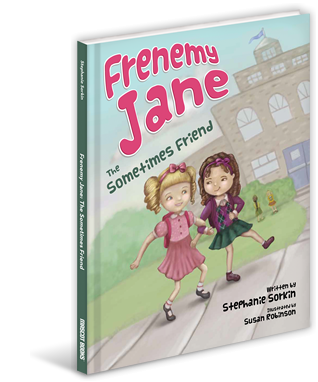 Frenemy Jane, the Sometimes Friend tackles the complex problem of a child being bullied by someone that they once considered to be a friend. “Jane” doesn’t come in the typical bully package. She is not bigger, stronger or using physical force. Instead, she is using her words to cause harm, which as many of us know, can often hurt even more. A portion of the proceeds will go to an anti-bullying campaign TBD. Stephanie Sorkin’s books are available wholesale through: Ingram, Baker and Taylor, Follett, Mascot Books and many other wholesale book distributors. © Stephanie Sorkin. All rights reserved.